Rahul Gandhi on Twitter said Congress is willing to give four of the seven Lok Sabha seats in Delhi to AAP to ensure that the their alliance defeats the BJP. Congress leaders have said they only want a tie-up with AAP in Delhi, but AAP wants alliance in other states as well. Congress president Rahul Gandhi Monday accused Aam Aadmi Party (AAP) chief Arvind Kejriwal of doing a "U-turn" on the alliance talks between the two parties and said the doors of the Congress are open, but time is running out. 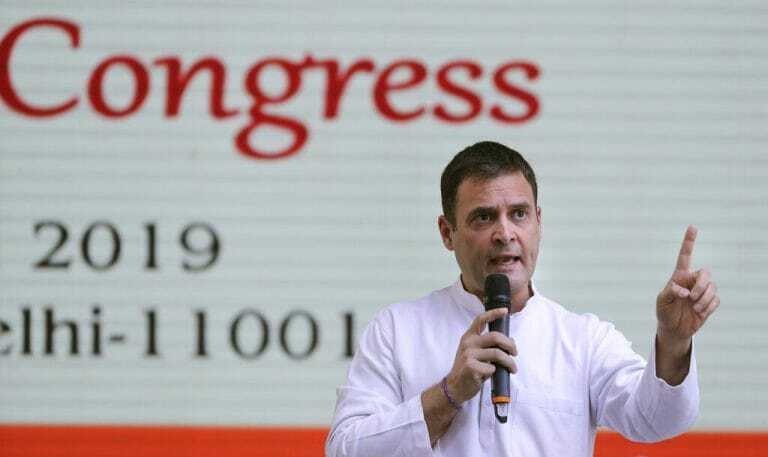 The Congress president on Twitter said his party is willing to give four of the seven Lok Sabha seats in Delhi to AAP to ensure that the their alliance defeats the BJP. The seat-sharing arrangement of four for AAP and three for Congress has been arrived at on the basis of the vote share of both parties in 2017 civic polls in Delhi, they said.